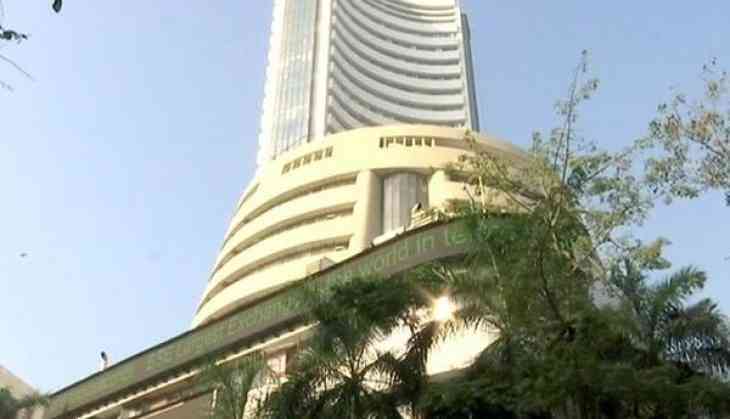 The BSE Sensex erased earlier losses to trade higher by 52.34 points in late morning deals in a range-bound trade despite lower Asian cues even as the rupee recovered sharply from its earlier lows. Good rally in telecom, consumer durables, FMCG, auto, energy, metal and realty stocks lifted the key indices. The rupee too recovered 24 paise against the US dollar. Banks, power and finance shares witnessed mild selling. The 30-share index was trading at 38,295.15, showing a gain of 52.34 points, or 0.14 per cent, at 1100 hrs. The broader Nifty-50 index was also trading higher at 11,556.90, up 20.00 points, or 0.17 per cent. Major gainers were Bajaj Auto 3 per cent, Hero Motocorp 2.18 per cent, Tata Motors DVR 1.80 per cent, Tata Motors 1.72 per cent and Wipro 1.56 per cent. Losers include, Sun Pharma 4.10 per cent, Yes Bank 3.14 per cent, SBIN 1.92 per cent and Power Grid 1.66 per cent. Most Asian markets were trading lower amid ongoing concerns about global trade and emerging markets. US stocks fell yesterday amid renewed selling in technology shares as the Trump administration eyed escalating the trade war.